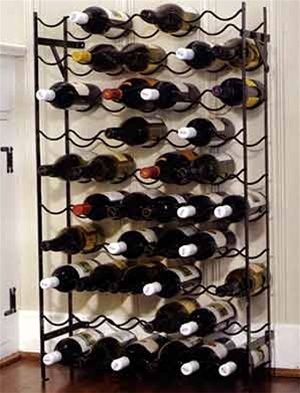 Sleek black epoxy-coated metal rack accomodates 60 wine/champane bottles. Folds flat to save space when not in use and includes hardware to mount to wall for stability. Dimension 39½"H×22½"W×8"D.